Globally businesses are forced to be resilient, coping with a number of disruptions including the increased frequency and severity of extreme weather-related events. We need to talk about the role of water in the new economy. Water is becoming increasingly scarce, particularly in sub-Saharan Africa, and is currently ranked as one of the top five global risks. In response to the mapping of water risks to supply chains in various agricultural and industrial sectors in Zambia, TOMA-Now proposes an action-driven engagement to understand water related challenges and co-create a strategy to inform viable solutions. An opportunity exists to assess these risks in detail before water-related issues pose a substantial livelihood risk and to understand potential water threats across value chains. South Africa’s freshwater ecosystems can initiate leading water-wise value chains and unlock beneficiation opportunities. 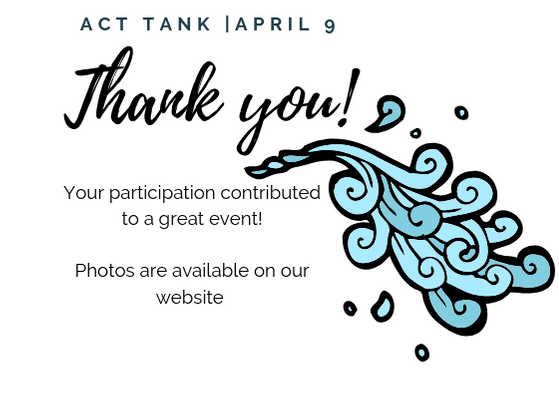 TOMA-Now | Tomorrow Matters Now invites you to an Act Tank on 9 April 2019, to follow up on International Day of Water (22 March) and South African Water Week (18 – 20 March). This is an interactive session that empowers participants to lead the conversation around the topic at hand. You will inspire your fellow attendees with your stories, see the topic from different perspectives, and engage with experts. Experienced Leader with a demonstrated history of managing diverse teams in NGO and science organisations in the Water Sector. An effective public and business communicator, passionate about building strong local partnerships to deal with global water challenges in a changing world. Strong professional skilled in Sustainable Development, Water Risks, Environmental Awareness, Natural Resource Management, and Climate Change. Currently based in South Africa with extensive experience in Southern Africa. In 2008 Spur Corporation initiated the group’s sustainability program and she was awarded the additional portfolio of Environmental Sustainability Manager. The environmental sustainability committee provides an investigative and operational function to the group and its stakeholders. Joe chairs the Quarterly Environmental Sustainability Committee meetings and serves as a support to the environmental team and operational gatekeepers. She has been integral in the development of the Group’s sustainability programs, green operational reports and eco toolkit rollout to the franchisees. The concept of sustainability is multifaceted and questions the applicability of current business as usual practices into the future. My forte is to address these challenges through building relationships to achieve the technical solutions while keeping profit driven motives in focus. Green Economy leader bringing a global perspective to the development of solutions for companies doing business in Africa. Jaisheila is passionate about empowering others to develop economic models for sustainability and inspiring change in the way we do business. She is a fervent believer in building practical and comprehensive solutions that unlock green business value with long term benefit and impacts. As the name suggests, the event is focused on action. The audience is a diverse representation of industry, private sector, provincial and local government, and NGOs. 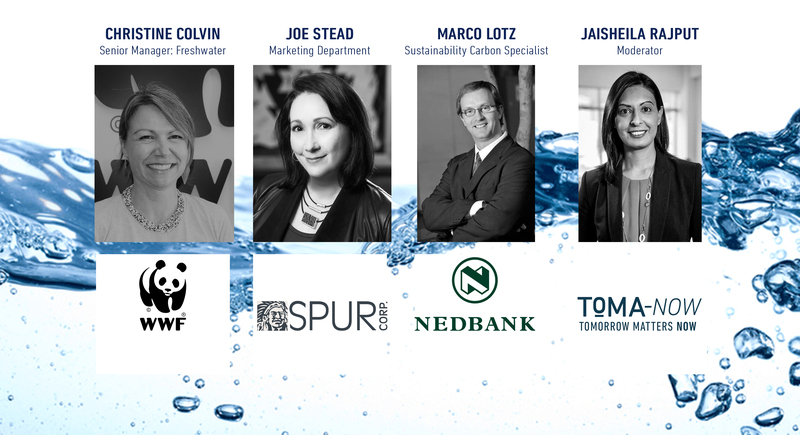 We aim to facilitate a holistic discussion on the challenges and opportunities surrounding freshwater in South Africa, with representation from differing perspectives. The engagement is proactive, positive and focused on commitment to tangible next steps in the short, medium, and long term. Panelists are invited to create awareness of activities in their respective fields, to share stories of success and challenges faced.